Pierre Boulez in 1964, Image credit: Erich Auerbach/Getty Images. EDITOR’S NOTE: This essay is reprinted here with the gracious permission of both the author and Slipped Disc, the publication for which it was originally written. to see the lively discussion that follows the essay on Slipped Disc. I first played under the baton of Pierre Boulez more than a quarter of a century ago, shortly after I joined the Chicago Symphony. I always admired him as a human being. He was kind, brilliant, generous, and by all accounts a great and loyal friend. On more than one occasion he rescued the Chicago Symphony on short notice after other conductors had to cancel on us. Indeed, he and Bernard Haitink stepped in to steer the orchestra’s artistic fortunes following Daniel Barenboim’s abrupt departure in 2006. All of us in the orchestra are very much in his debt. But in addressing his legacy, I feel that another aspect of his life must be acknowledged. As a polemicist, he had a profound effect on how we thought about music for much of the 20th century and beyond. On the whole, I think this effect was far from beneficial. In an essay that dates from 1980, the composer Ned Rorem describes a lecture that Boulez gave on the subject of Debussy’s Etudes. Boulez, according to Rorem, characterized an E-natural in the eighth bar of the Etude-in-Fourths as “a veering from the key center”. Rorem pointedly disagrees, hearing it as “a ‘blue’ note”. Indeed, Rorem hears “the whole lush piece as a jazz improvisation.” Boulez’s premise, Rorem tells us, is that “all roads lead to dodecaphonism” (i.e. to twelve-tone atonal music). Debussy was one of Boulez’s heroes and so, in Boulez’s view, his music must be heard as a harbinger of the glorious atonal world to come. Rorem’s essay reminds me of something I read back in my college days, Herbert Butterfield’s The Whig Interpretation of History. Butterfield brilliantly takes the conventional wisdom of the historians of his time to task in this brief book from the 1930s. He feels that they regarded history as a teleological phenomenon; mankind was “progressing” towards a world-view that, coincidentally, was the world-view held by these historians. All previous modes of thought, then, were judged as enlightened or reactionary according to how closely they resembled the views of the Whig Historians. Unfortunately, a teleological narrative is extremely problematic in regard to artistic achievement. Einstein could supersede Newton and antibiotics clearly work better than leeches. But can we truly “progress” beyond Bach or Mozart? Ironically in a man who was famed for his “modernism” Boulez’s faith in man’s eternal journey ever closer to perfection seems a quaint 19th century mindset. It is a way of looking at the world that was, for most of us, discredited by the nightmare of the 20th century’s totalitarian conceptions. We learned the hard way that the rational mind of man was not inexorably advancing toward a utopian future. Like any good Whig, Boulez picked good guys and bad guys from the pantheon of composers. He favored those whom he could fit into his own narrative, that the entire history of western music was a long struggle to throw off traditional tonal practice. Not many composers before Debussy earned his approval. The only composer born before 1860 I can remember him conducting more than once in the 25 years I played under his baton is Berlioz. Even in the 20th century, there was no shortage of composers who did not conform to Boulez’s March of Progress, and were thus unworthy of his consideration. You know, in the history of music, there are composers without whom the face of music would be completely different, and composers whom if they had never existed, it would have made no difference whatsoever. This is as eloquent a manifesto as one could want for the world-view and unstated assumptions of the Whig Historian. Composers, Boulez implies, are to be judged by whether or not they change “the face of music”, and it is clear what manner of changes were required to earn his approval. Whether or not music is beautiful or enables the audience to experience something that it finds meaningful and valuable is apparently beside the point. And yet, can’t the argument be made that Shostakovich was, in his way, more progressive than Boulez? The “business of long quotations” that Boulez ridicules in the 15th Symphony always struck me as an inspired use of “found objects”, which, in a work that dates from 1971, presages such contemporary visual artists as Alan Rankle and Tracy Emin, not to mention the samplings of preexisting recordings that are often used in rap and hip hop. 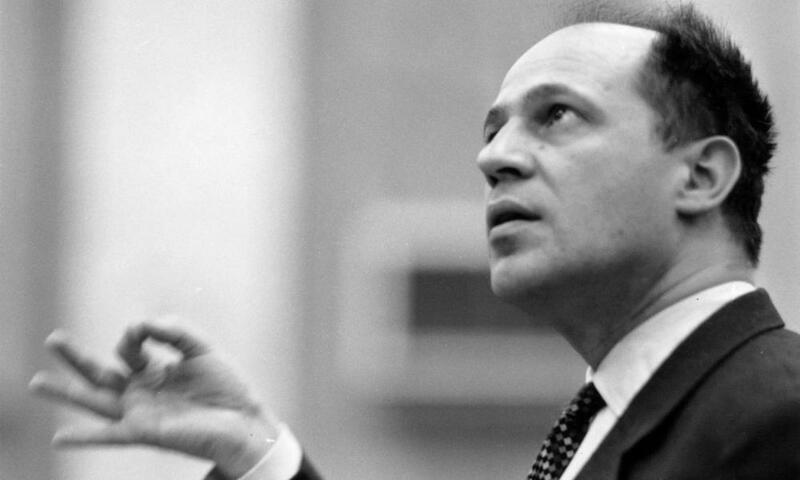 There is nothing comparable in the music of Boulez. Indeed, I find that his angular melodic shapes and the thoroughgoing dissonance of his harmonies never entirely left the sound world of the Second Viennese School, notwithstanding the superior sophistication and flexibility of his serial techniques, the often daunting rhythmic complexity, and the greater variety in timbre achieved through electronic technology and the subtlety and complexity of his instrumentation. There were other blind spots in Boulez’s aesthetics that affected his view of Shostakovich. An element of Shostakovich that Boulez could not even acknowledge, so foreign was it to his own viewpoint, was the Russian’s use of popular elements in his music, of folk materials, military marches, and dance rhythms. In this, Shostakovich (and Mahler and others before him), foresaw the melding of high and low art that is so much a part of our present artistic landscape. I always felt that this limited Boulez when he conducted composers such as Bartok and Mahler, whose styles were deeply affected by popular elements and folk materials. One work I performed with him countless times was Mahler’s Seventh Symphony. In the third movement, which to me is the best music in the symphony, the climax is a crushingly vulgar fortissimo waltz theme grotesquely orchestrated with an appallingly banal accompaniment. Mahler marks the music “Wild”, and it should be horrifying. I always imagine Mahler as a neurotic child encountering drunken, brawling soldiers at his father’s tavern near their barracks in rural Bavaria. It would be hard to conjure a more harrowing depiction of Hannah Arendt’s “banality of evil”. But in the hands of Boulez it always came across as bizarrely elegant – not too fast, not too loud, very accurate. It would have been hard to miss more completely the point of the music. Would we praise an actor doing Lear for his emotional detachment, and marvel at how he seems so unaffected by his daughters’ betrayal of him that for once we really see Shakespeare’s words as they appear on the page? In passages such as this excerpt from the Seventh, vulgarity is at the very heart of the music; it wallows in the popular culture of Mahler’s time. It never seemed to occur to Boulez that this music must be tied to the world that inspired it outside of the notes on the page. This is another way in which the world left Boulez the “modernist” behind. His aesthetics were almost obsessed with stylistic consistency. He derided composers past and present for using preexisting structures and tonal schemes with which to organize their material, rather than reinventing the structural wheel with each new work according to the nature of the material therein. In his essay Debussy and the Dawn of Modernism he lauds his hero: “What was overthrown was…the very concept of form itself, here freed from the impersonal constraints of the schema…demanding a technique of perfect instantaneous adequacy.” I’m not sure what “perfect instantaneous adequacy” is. Maybe it works better in the original French. In any case, we get the idea. Each piece of music must create its own form according to the material being manipulated; it must owe nothing to anything that exists outside its own microcosm. This unfortunately leaves out a lot of the way the world actually exists in our time. If I walk a mile or so north from the Chicago Symphony’s hall, I see a joyous cacophony of architectural styles, promiscuously borrowing from millennia of human history – neo-gothic structures like the Tribune Tower, Frank Gehry’s post-modernist conception at Millenium Park, a few Modernist rectangles, Renzo Piano’s lighter-than-air confection for the modern wing of the Art Institute, and so on. Many composers since the mid-20th century have reflected this aspect of our world in their music. The Soviet master Alfred Schnittke even coined a term for it: Polystylism. The Chicago Symphony currently has two brilliant young composers-in-residence, Mason Bates and Anna Clyne, who write music that is a glorious mash-up of, among other things, club music dance beats, electronic wizardry, and classical techniques both contemporary and anachronistic. It seems to me that this is the future, and Boulez’s paeans to Debussy’s structural integrity are very much the past. Yet still, it is almost impossible to find anything written about Boulez that doesn’t pay homage to his cutting-edge modernism. The image of the creative artist as misunderstood genius who is appreciated only by posterity is a cliché. Like many clichés, it has some elements of truth to it. Mahler, Schubert, Bruckner, and Berlioz are certainly appreciated more today than they were in their lifetimes. With Boulez, though, we have a new phenomenon. Here is a composer that started as an enfant terrible urging us to blow up opera houses and ended up a stalwart Establishment institution – and yet never had to write any music that mainstream classical music audiences actually wanted to hear to achieve his climb to eminence. Indeed, it became somehow bad form to point out that his music is not very successful with the public. In January 2010, the Chicago Symphony sponsored a chamber concert featuring many of his works in honor of his 85th birthday. I was told that the Chicago Architecture Foundation, which has the good luck to be located next to Symphony Center, was overrun with literally hundreds of patrons fleeing the concert at intermission, still clutching their programs. I was told this by one of the refugees. Naturally, this mass exodus was not deemed worthy of mention in any of the press accounts of the event, just as there is a polite silence in the local press about the banks of empty seats at the Chicago Symphony that still result from any program in which the music of Boulez is prominent. How could Boulez come to such prominence while composing music of such limited appeal? I believe that it was his Whig sensibility, and his success in getting the rest of the world to buy into it, that enabled him to achieve this. The powers that be in classical music decided that Boulez was right. Atonality was the only true path, the goal that we had been unwittingly striving toward ever since the first Gregorian chant. If you were writing tonal music by the middle of the 20th century, you were irrelevant, or, as Boulez put it in his notorious 1952 essay “Eventuellement…”, “useless”. So it didn’t matter whether audiences actually liked it – that was the new music they got. History and Progress had allowed us no alternative. 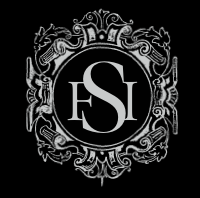 For a couple of generations after World War Two, composers who employed elements of traditional tonality became endangered species at the music schools of our great universities. Of course it is simplistic to say that Boulez by himself caused this. But there was no denying his power as a polemicist – and the power of his considerable personal charm. His Whig narrative became accepted wisdom. Tonality, and music that communicated to the traditional classical audience, were consigned history’s ash heap. This was a tragedy for American music. Whenever I perform Copland, or Bernstein, or Barber, I think of how the 1940s must have looked to American musicians at the time. Copland was an established talent, basking in the great success of his Third Symphony and the ballets. Bernstein had arrived on the scene in a big way, composing the Clarinet Sonata and On The Town in that decade. Barber was hitting his stride, and there was a phalanx of highly skilled composers of the second rank on hand, such as Walter Piston and William Schuman. Our nation was poised like Bohemia at the time of Smetana and Dvorak, or Russia in the heyday of the Mighty Five, to tell our story in classical music, to create an indigenous national school. It was not to be. Barber’s lyricism got him laughed off the stage. Copland was cowed into writing twelve-tone music in the 1950s. And Bernstein had his greatest successes on Broadway and on the podium. One of Boulez’s staunchest allies was my old Music Director, Daniel Barenboim. It was under Barenboim’s auspices that Boulez was named Principal Guest Conductor of the Chicago Symphony, and Barenboim frequently programmed the music of Boulez and his acolytes. He never deigned to conduct the 20th century composers Boulez would have described as “useless”, unless he was compelled to accompany something along the lines of a Prokofiev concerto. He was pretty open about his disdain for the more tonal currents of our time. But one time, he did condescend to conduct Samuel Barber. It was our first concert in Chicago after 9/11, and he selected Barber’s Adagio for Strings to commemorate the tragedy. I always wanted to ask him why, when it came time to bring people together in a shared emotion (Wasn’t this a prime motivation for why humanity has always turned to music in the first place? ), his esteemed Schoenberg and Boulez suddenly weren’t up to the job and he had to resort to the benighted modal harmonies of Samuel Barber. Doesn’t this tell us something profound about the limitations of the “progress” that Pierre Boulez always insisted we had made? This is very good. I love the parallel to the Whig View of History. It really works in this context. Very well-done piece. We can see in the music of out time how this pseudo-Hegelian approach to music history, as manifest in figures like Schoenberg, Adorno, and Boulez, has become a thing of the past, unresponsive as it is to our ordinary human needs as lovers of music, and overtaken by the diversity and complexity of contemporary culture.